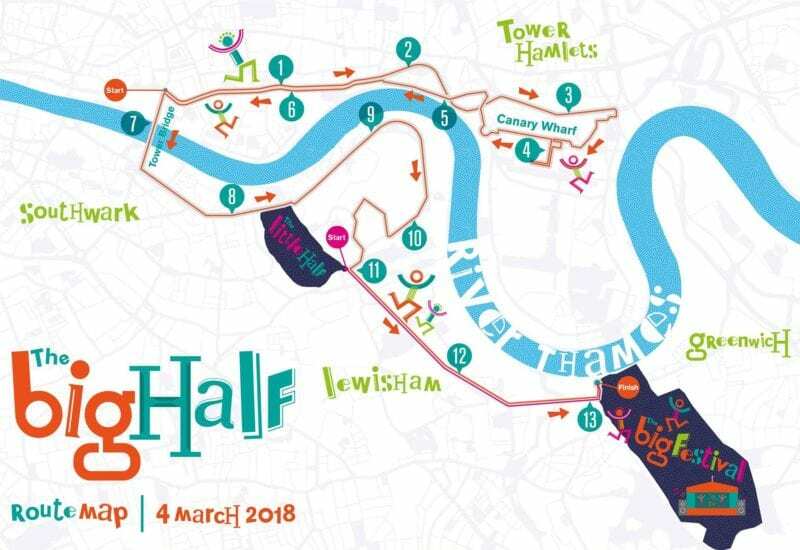 Created by the people behind the London Marathon, The Big Half is a new one day festival centred around the half marathon distance. It aims to be a truly global and uniquely local celebration of the wonderful cultural diversity of the great city of London with the half marathon starting at Tower Bridge, passing through the boroughs of Southwark, Tower Hamlets, Lewisham and Greenwich, before finishing in Greenwich. We have filled all our places in the Big Half 2019 and registration is now closed. However we expect to have places in the event in 2020 so please get in touch if you would like to join us next year and we will send you further details when they are available. The route for the 2019 edition of The Vitality Big Half will be announced later in the year. In 2018, the race started by Tower Bridge and finished at the Cutty Sark in Greenwich. The route goes through four London boroughs: Southwark, Lewisham, Tower Hamlets and Greenwich.